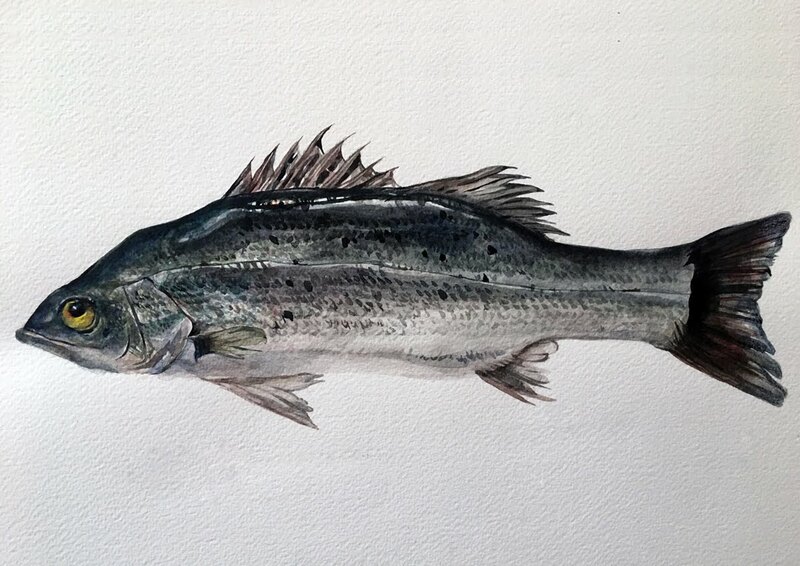 This work, created using traditional Chinese ink paints, is one in a series of illustrations of the specimens that appear in the most well-known Korean 'marine encyclopedia' 자산어보 (Ja-san-uh-bo). It was written in 1814 in the Jeolla Province, and details the names, shapes, sizes, habits, and distributions of a variety of aquatic flora and fauna. One such species is Lateolabrax japonicus, or the Japanese sea bass. A key characteristic of young Lateolabrax japonicus is the presence of scattered black dots along the lateral body surface. They grow to a maximum of 40 inches and populate regions in the western Pacific Ocean, from Korean to Chinese to Japanese shores.